Every May and June, one of the most famous clay-court tennis tournaments is held in Paris. We're talking about the French Open, also known as Roland Garros, a Grand Slam tournament that was first played in 1891. 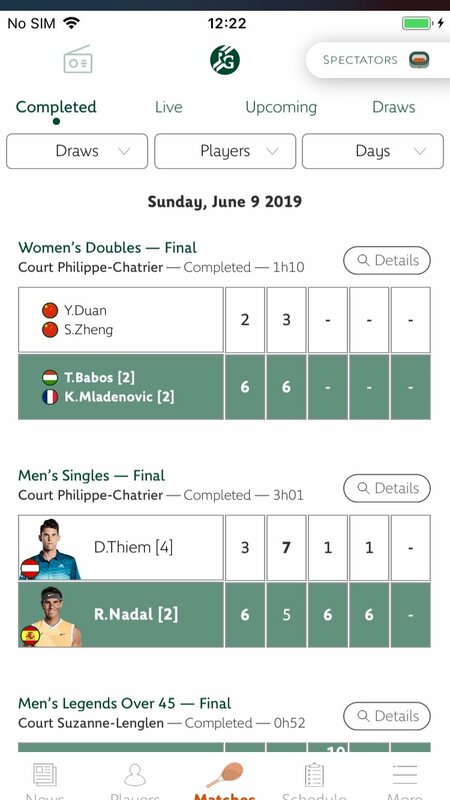 Thanks to Roland-Garros Official, we can find out all about this tournament, such as the results, the latest news, today's matches, or the frames. 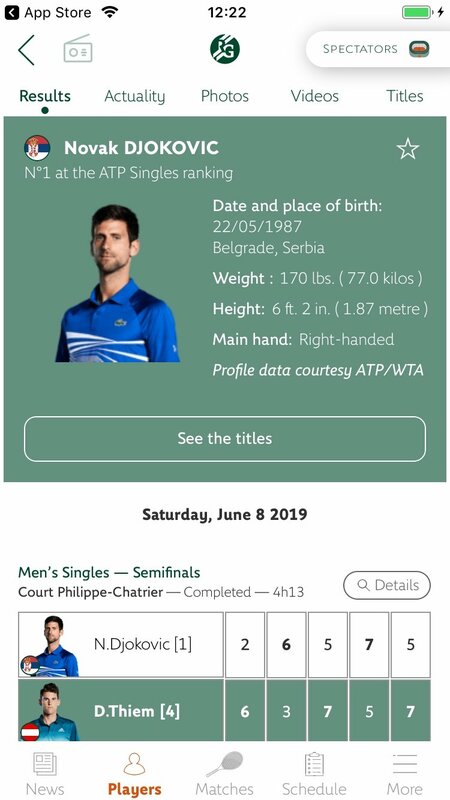 It's a very complete app, aimed at both fans that watch the tournament at home and people that actually visit Paris to follow the tournament live as it allows us to purchase tickets and check different information, such as the stadium's maps. Follow the competition with live results, statistics, and match schedules. Access all the organization's official information. 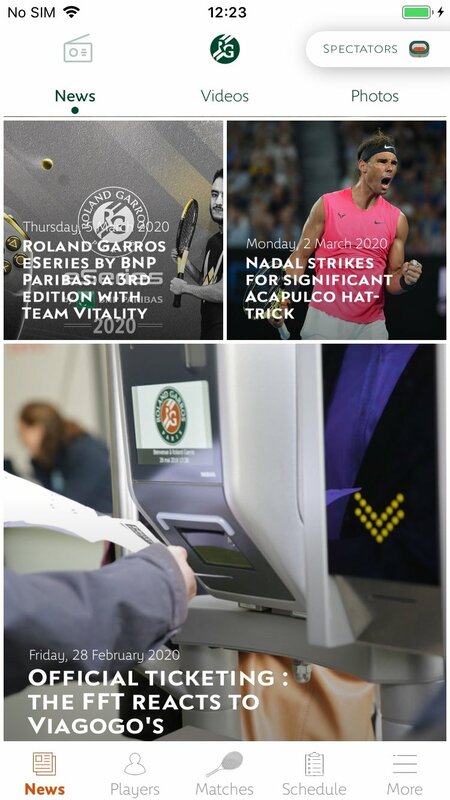 Check all the latest news about the tournament. 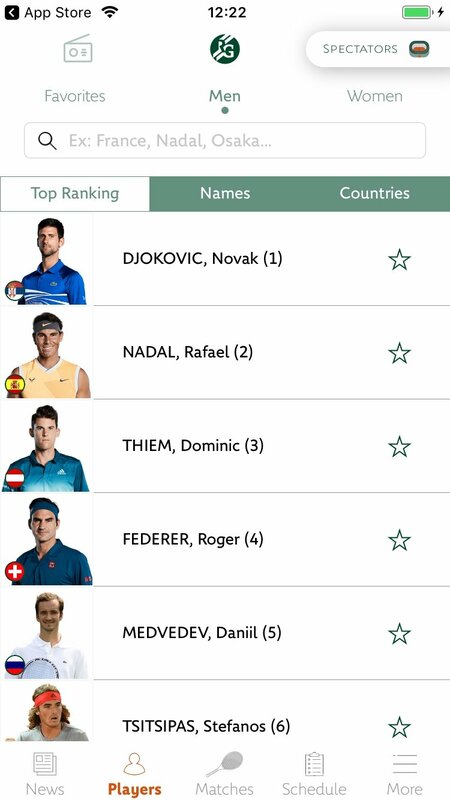 Follow your favorite tennis players. Don't miss out on absolutely anything of one of the most renowned tennis tournaments in the world, named after the legendary French aviator, and one of the championships that hands out the most ATP points to its winners.